Leaks, press freedom and state surveillance: is this our fight? 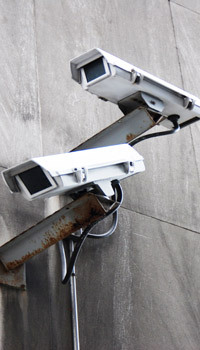 Increased use of electronic surveillance over the last decade has coincided with a clamping down on press freedom, argues Transparency International’s Robert Barrington. Ever since the Wikileaks debate came to the fore, I have been wondering to what extent we, as Transparency International, should be taking a stand on the issue of Wikileaks, and what that stand should be. On the one hand we stand for transparency, principally because we are an anti-corruption organisation and transparency is one of the best means of exposing and deterring corruption. On the other hand, there must clearly be issues that are private or confidential – among which I would include my own bank account, a conversation Transparency International might have with someone who is a victim of corruption, and legitimate state secrets such as how James Bond is tracking down proven terrorists. Since Wikileaks, and in particular Bradley Manning’s leaks, we have had other leaks; and now we have the leaks from Edward Snowden and their distribution via Glenn Greenwald and the Guardian. This, in turn, has led to a backlash from governments against the whistleblowers and those media that have the temerity to report leaks that are embarrassing to the governments concerned. As a result, the debate has now shifted. There are now those who argue that what we are seeing is corruption – like the highly-respected UK journalist Simon Jenkins in a recent article in the Guardian. Since Mr Bush declared the existence of the War on Terror, a raft of fairly repressive legislation has been put in place in the US, UK and elsewhere with the intent of fighting terrorism. The remit is so broad that it is open to abuse – by using the general threat of “terrorism” to excuse almost any action by the state. Allied to this, we have also seen over the past decade a huge increase in electronic surveillance capabilities. We are already starting to see abuses, which include secret mass surveillance of citizens, suppression and intimidation of the press, stifling of protests and arbitrary detention. This has been enabled by the suspension of normal legal and judicial procedures, and a lack of democratic oversight and accountability. Thanks to the whistleblowers, more evidence is now available and a clear picture is emerging of the systematic erosion and suppression of civil liberties. The state’s knee-jerk response has been to bully newspapers into silence, punish whistleblowers and detain innocent people. The situation in the US is bad; it is worse in the UK as the oversight mechanisms and accountability are weaker and the security and law enforcement agencies seem willing to push their powers to the limits. Put all this together and you have corruption. Not bribe-paying, but the abuse of power by those in power, against the interests of society and citizens. Terrorism is a real threat; ordinary members of the public cannot assess that, so must leave it to experts. There are checks and balances in the system so that senior officials and politicians can ensure there are not abuses. The apparent abuses to date are all justifiable because the threat is so severe – though it is too dangerous to tell the public any detail about the threat. Secrecy is necessary otherwise terrorists will be able to win the war. Fundamentally, we are still in a War on Terror, and citizens must trust their governments to do the right thing. Politicians are so fearful of making wrong decisions and being blamed for a terror attack, that they err vastly on the side of caution – or abuse, or oppression, depending on your perspective. It is therefore not necessarily the case that there are deliberate abuses of power going on; the motives may be pure, but the consequences very dangerous. In the fight against corruption, we often lament the lack of information; how comfortable would we feel if through these apparently abusive activities, the UK’s law enforcement authorities were able to uncover a multi-million pound property portfolio in London owned by a corrupt foreign official, or evidence of an overseas company paying bribes to win contracts in Africa at the expense of a British competitor? If the UK makes the wrong call on this, it will not only damage the UK; it will empower those in repressive regimes overseas, allowing corruption to thrive and creating further victims among ordinary people. A free press plays a critical role in the fight against corruption; in Britain, and other countries where these values lie at the heart of society, there should be no place for government censorship by whatever means. When dealing with large volumes of information, mistakes will be made and information may start to be used for other purposes; there will be innocent victims, who have nothing to do with terrorism. Conversely, the UK now has some of the conditions in which corruption can thrive – including suspension of civil liberties, lack of transparency and poor accountability. Whistleblowers should be encouraged and supported, not hunted down and treated as criminals. There should be a proper respect for press freedom. Parliament should set out clear expectations about what the public interest is with regard to the interpretation of ‘terrorism’ and the use of these exceptional powers. Someone, somewhere, needs to be able to hold the security services to account with a proper assessment of the public interest. But is this Transparency International’s fight? From a human rights and civil liberties perspective, there are very compelling arguments about why the UK has a significant problem that needs to be urgently addressed. Transparency International already has much to do; and a mistake NGOs sometimes make is to broaden their missions so that they become less effective in the core areas of their mission. Can we genuinely say this current situation, however undesirable, is corrupt? On the other hand, shouldn’t Transparency International always take a stand when there is an issue that combines an unaccountable state, curbs on press freedom and persecution of whistleblowers?